September 13, 2016 – An international team of astronomers using Hubble have been able to study stellar evolution in real time. Over a period of 30 years dramatic increases in the temperature of the star SAO 244567 have been observed. Now the star is cooling again, having been reborn into an earlier phase of stellar evolution. 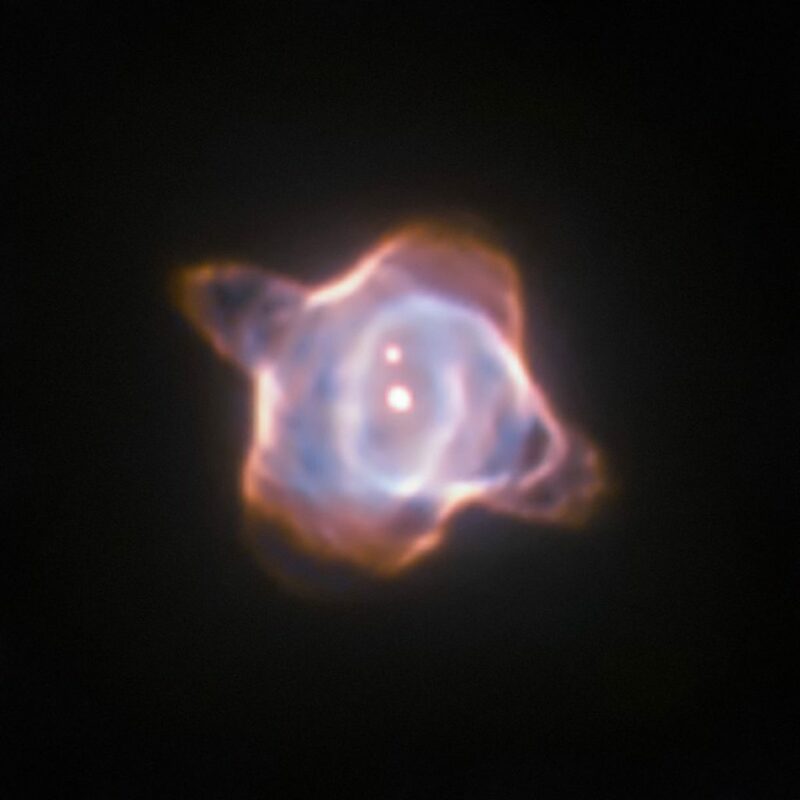 This makes it the first reborn star to have been observed during both the heating and cooling stages of rebirth. Even though the Universe is constantly changing, most processes are too slow to be observed within a human lifespan. But now an international team of astronomers have observed an exception to this rule. 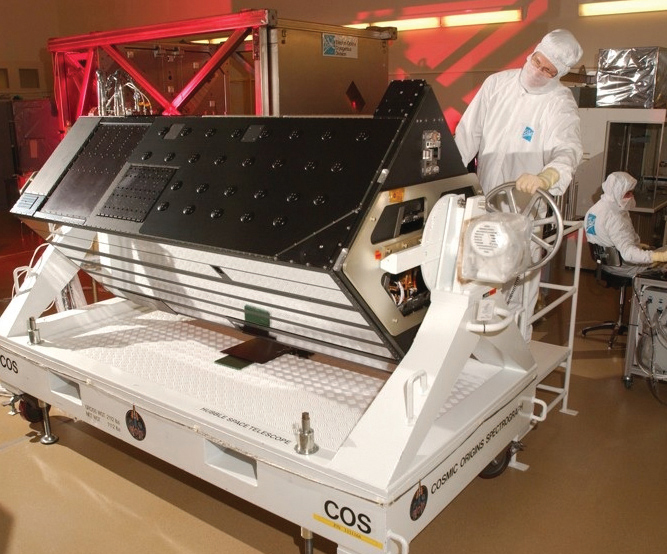 The Cosmic Origins Spectrograph was the final instrument added to Hubble, and was designed and built by a University of Colorado Boulder team led by Dr. Jim Green. Fabrication, integration & testing was performed by Boulder’s Ball Aerospace. It was installed on the Hubble Space Telescope during Servicing Mission 4 (STS-125) in May 2009. COS is designed to study the large-scale structure of the universe and how galaxies, stars and planets formed and evolved. As a spectrograph, COS breaks up light into its individual components. Any object that absorbs or emits light can be studied with a spectrograph to determine its temperature, density, chemical composition and velocity. The Hubble Space Telescope is a project of international cooperation between ESA and NASA. Lockheed Martin Space Systems in Sunnyvale, California, was responsible for building Hubble’s cylindrical casing and the Support Systems Module, and for integrating the telescope.